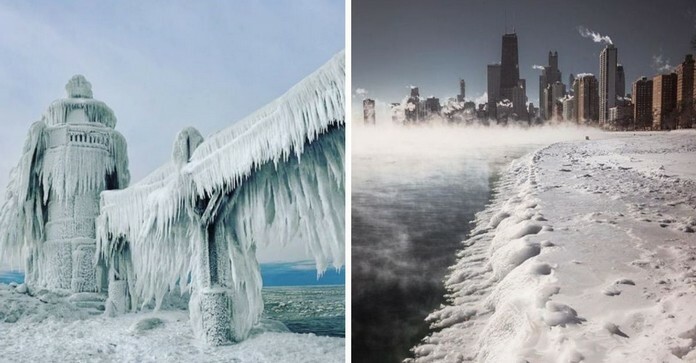 Lake Michigan is freezing as extreme cold weather hits parts of the USA this week. The Midwest, from the Dakotas to Western New York, is experiencing some of the coldest temperatures to hit the region in more than two decades. ﻿ As wind chill temperatures in Chicago dropped as low as -53 degrees Farenheit on Wednesday and parts of Lake Michigan turned to ice. 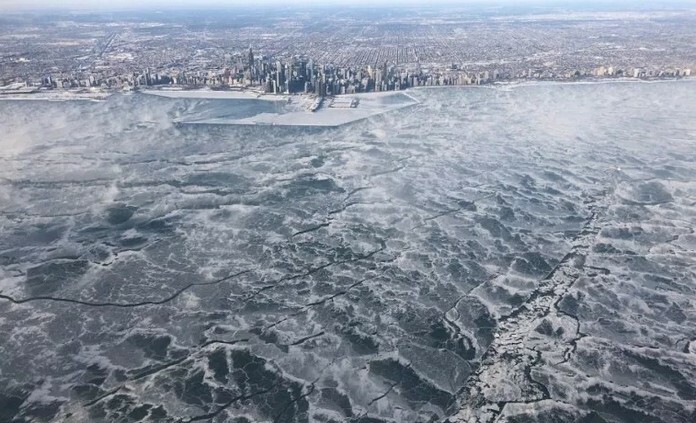 Residents across Michigan, Chicago and Wisconsin braved the cold to share their photos of the icy lake to social media. The brutal cold in Chicago has prompted the closing of more than 300 area schools and the cancellation of dozens of flights. Chicago residents are going to be in for one heck of a winter.